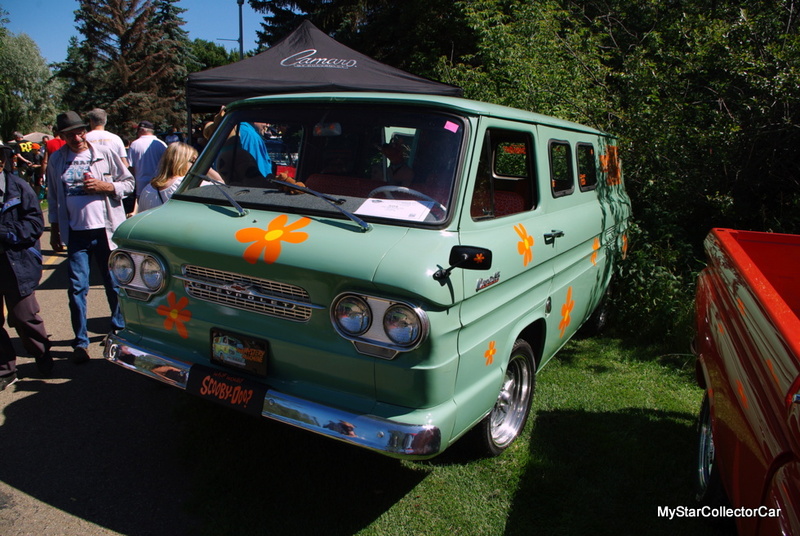 Corvair vans are a rare sight at car shows. They didn’t build a lot of them and few of them survive to this day so they attract crowds. Turn one into a Scooby Doo van and they attract mobs of kids. Jack Abbott spotted the van at an auction a few years ago and it was actually door number two for him at the sale. 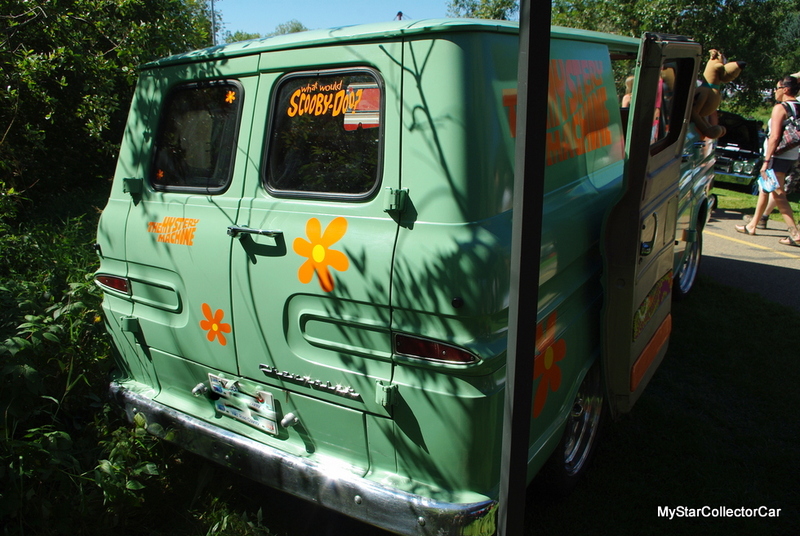 He wanted a Corvair station wagon but when he was outbid on that car he went after the van and won the bidding contest. He had some serious adventures with his van because he blew up the transmission on his first run. Jack had a parts vehicle so he swapped out the transmission but he forgot to check out the throwout bearing and “that blew up”. The first few days with the van were not Jack’s fondest memories. Jack said the van was “in pretty decent shape” but it wore many years of long term hibernation in a collection so it had “a lot of leaks”. 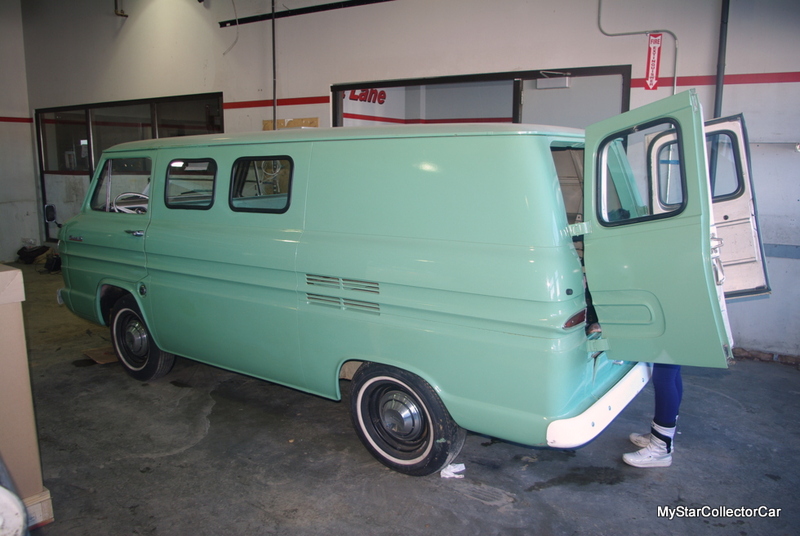 He didn’t like the leaky side of his Corvair van so he tackled all the issues, powder coated every piece and “cleaned it up so nothing leaks”. 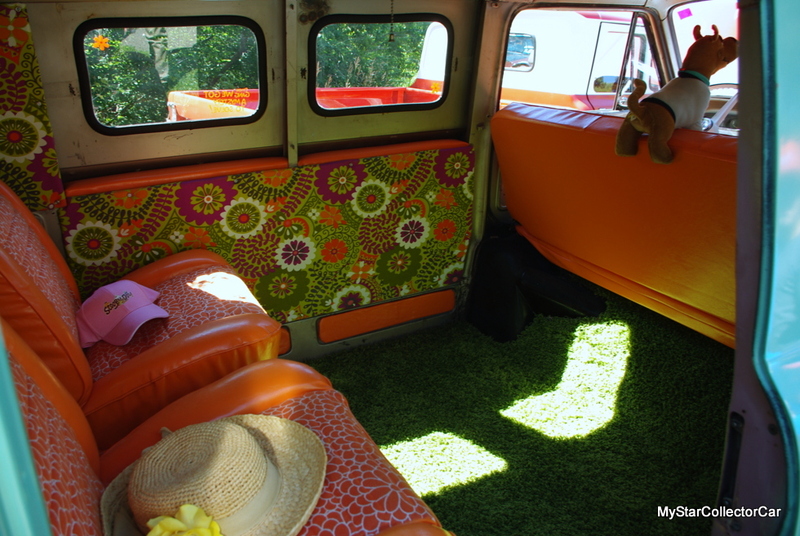 The first days with the Corvair van were turbulent but after that Jack and his wife began to focus on the fun side of the vehicle. 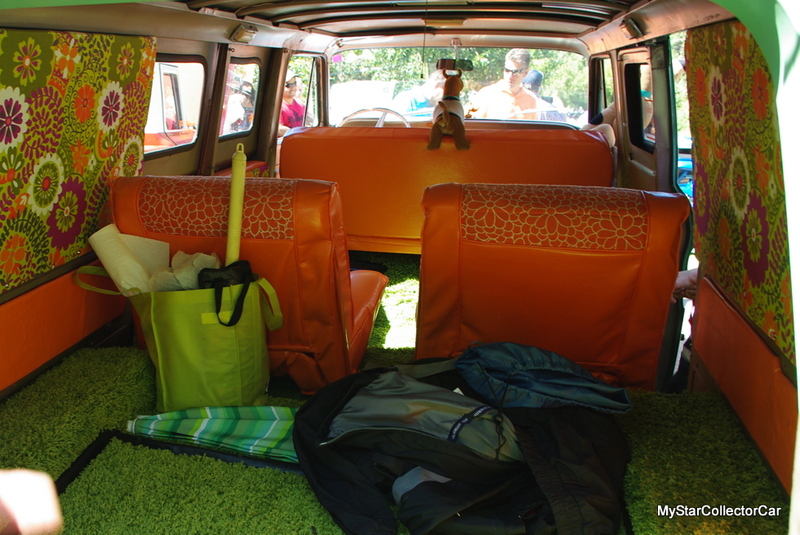 They started with a new interior courtesy of his wife because they wanted a unique look to the van. 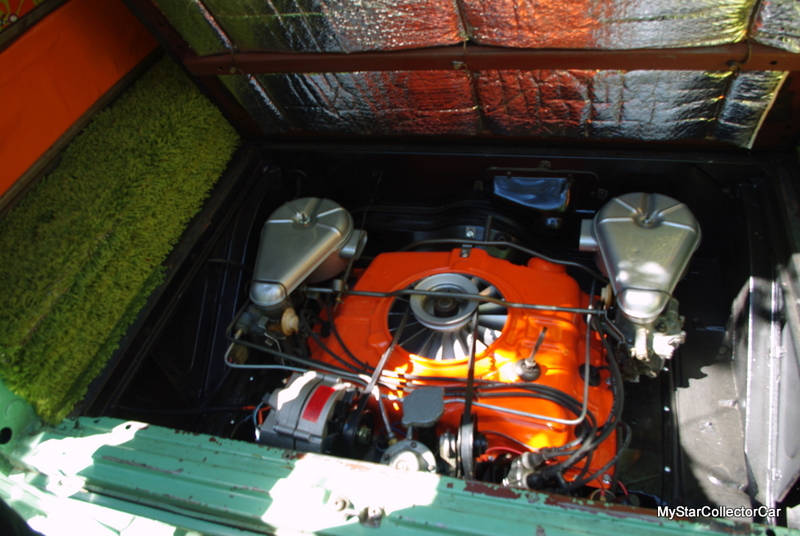 She built this Corvair a very non-stock interior but Jack said they “kept everything so it can be taken back to stock”. This is a very cost efficient build because Jack doesn’t “have a lot of money in it” because he and his wife do all the work. There is a massive amount of sound insulation in the van because the stock version was “pretty noisy” according to Jack. They wanted the road experience to be lot more relaxing and the sound deadening really helped because Jack said the stock vans “were like a tin can”. These vans were the favorites of tradesmen because they were low and spacious so sound levels weren’t the highest priority. They started by “sticking a few flowers on it” but the project grew into a more familiar celebrity. 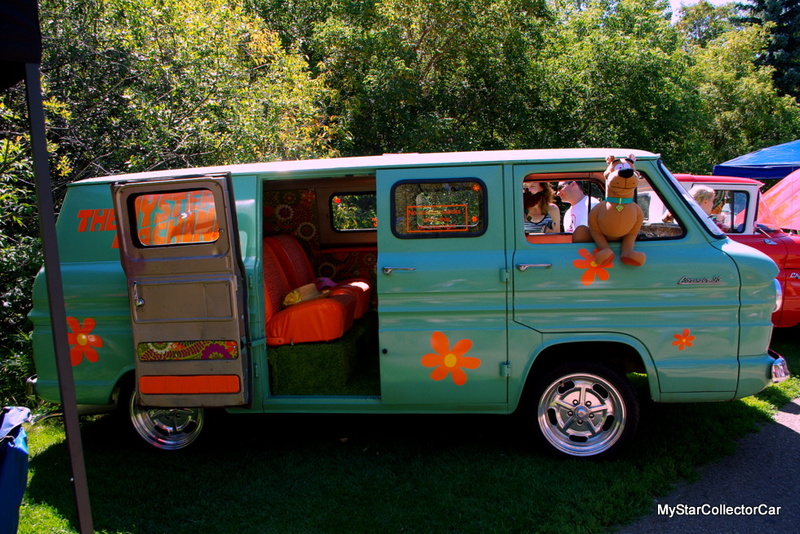 They went with a Scooby Doo Mystery Machine theme and this idea really took off for the Abbotts. 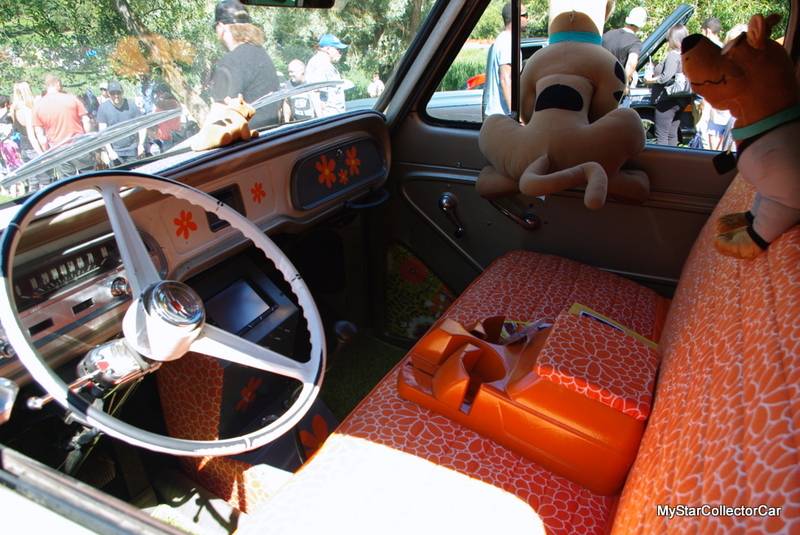 The van had a constant flow of kids (and a number of adults) checking out the cartoon tribute van. 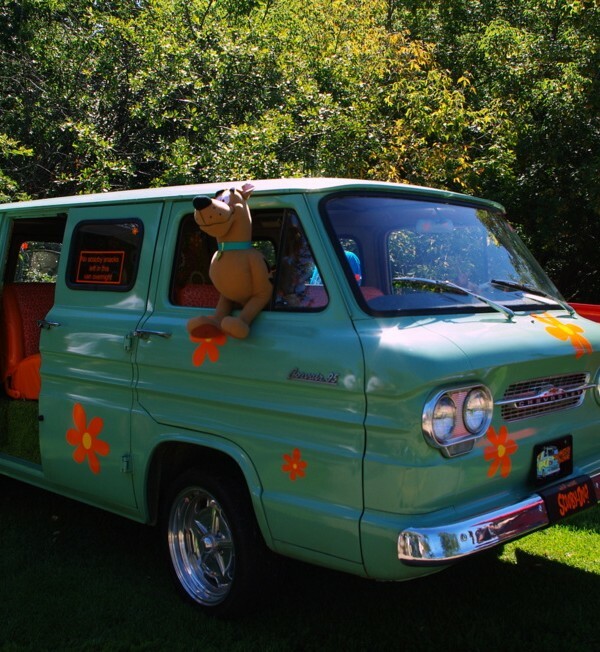 The life size Scooby Doo doll is like a neon sign for this car at shows. Jack said, “It’s gone way past what I thought it would be because kids just love this thing”. 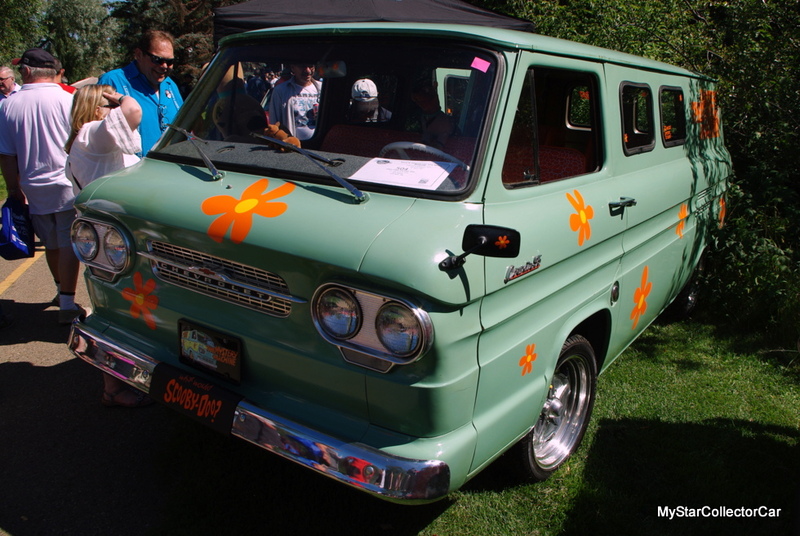 The driving side of this Corvair van is a study in patience because it’s really working hard at highway speeds. Jack doesn’t like to push it past 60 miles per hour because it “sounds like the engine’s going to fall out” and he “worries about air cooled engines” so he doesn’t work it too hard. He did say it “drives really nice” on the road. 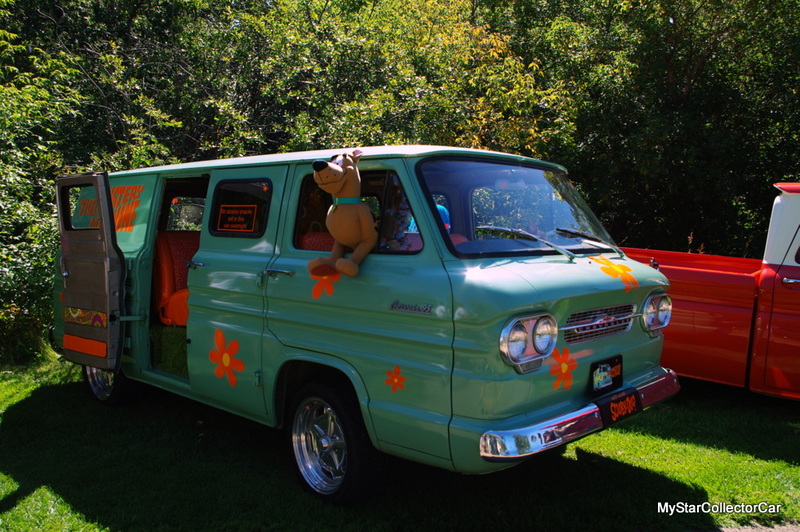 There are more plans for this Corvair van. Jack plans to add some new tech electronics to the van to give it a 21st century feel. The van is such a draw at shows he wants to take the experience to the next level of sight and sound for the kids. Scooby Doo would like that.